The most famous crimes of the ’90s are recent enough that viewers in the key demographic remember certain details vividly, younger viewers won’t feel like they’re wallowing too far in the distant past and enough time has gone by that smart writers are able to gain perspective. That’s why every established and emerging broadcast and cable network has been getting into the ’90s true crime genre. OJ. The Unabomber. Menendez. Versace. Coming up this spring, we have USA delving into the murders of Tupac and Biggie. And starting Wednesday (Jan. 24) night, the fledgling Paramount Network is hoping to make its name with a six-episode, star-studded take on 1993’s Waco siege from John Erick Dowdle and Drew Dowdle (No Escape). Definitely the stars are the reason to check out Waco. 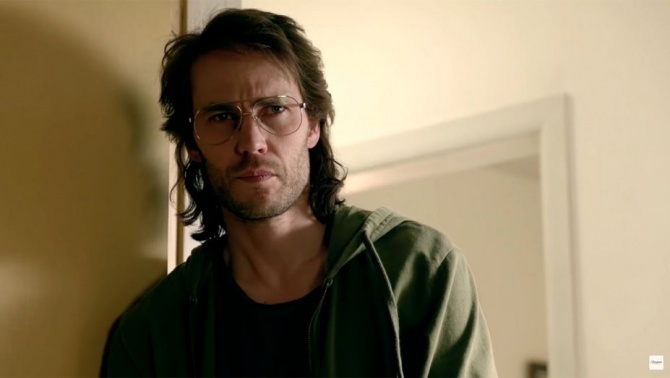 With Taylor Kitsch, Michael Shannon, John Leguizamo and Rory Culkin leading the way, Waco boasts an ensemble worth building a cult around and a historical perspective that had me tearing my hair out. Waco starts on Feb. 28, 1993. That’s when the 51-day siege at the Branch Davidian compound began with a tragic and botched ATF raid. The story goes back to introduce us to David Koresh (Kitsch), amateur guitarist and gifted interpreter of the book of revelations. Through the eyes of newcomer David Thibodeau (Culkin), whose book is one of several sources for the Dowdles, we’re taken to the Mount Carmel Center, where Koresh lectures on the Seven Seals, preaches abstinence to his male followers and puts in the sacrifice to attempt to impregnate all of his wives, including original missus Rachel (Melissa Benoist), troubling Michelle (Julia Garner) and the spirited Judy (Andrea Riseborough), whom he plucked from friend and follower Steve Schneider (Paul Sparks), a theology scholar. On the other side, Shannon plays FBI negotiator Gary Noesner, still smarting from the failures at Ruby Ridge and frustrated that the Bureau seems to be becoming more military and less law enforcement. Leguizamo plays one of the agents who, in the process of staking out the compound, is welcomed to parties and prayer meetings and gives viewers another point-of-entry to learn about Koresh’s teachings.